Recommended Retail Price : € 214,00 tax incl. 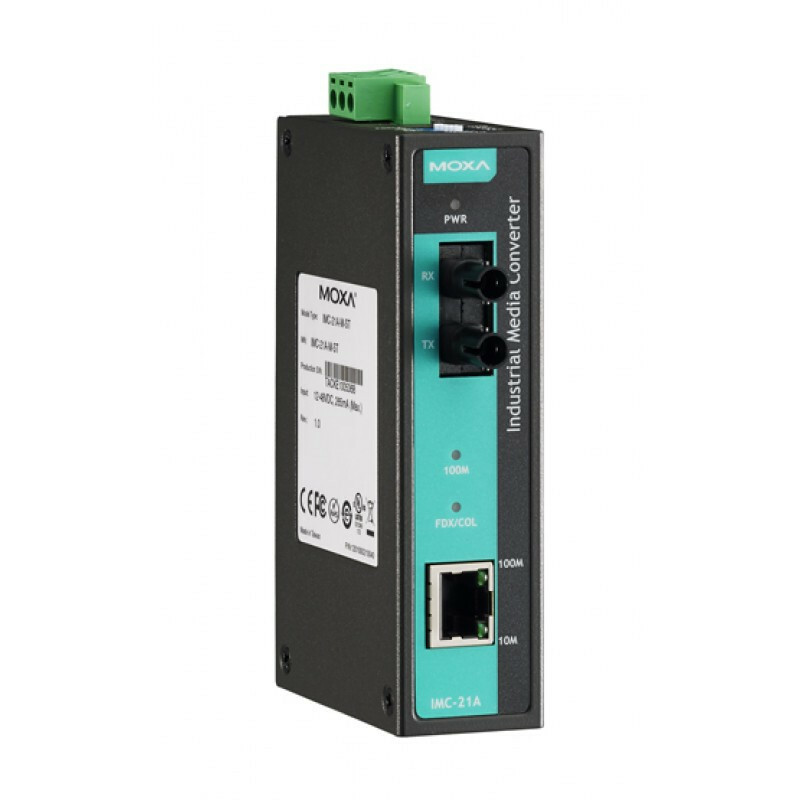 The IMC-21A industrial media converters are entry-level 10/100BaseT(X) to 100BaseFX media converters designed to provide reliable and stable operation in harsh industrial environments. The converters can operate reliably in temperatures ranging from -40 to 75°C. The rugged hardware design ensures that your Ethernet equipment can withstand demanding industrial conditions. The IMC-21A converters are easy to mount on a DIN-Rail or in distribution boxes.